America, get acquainted with the new baby Benz. 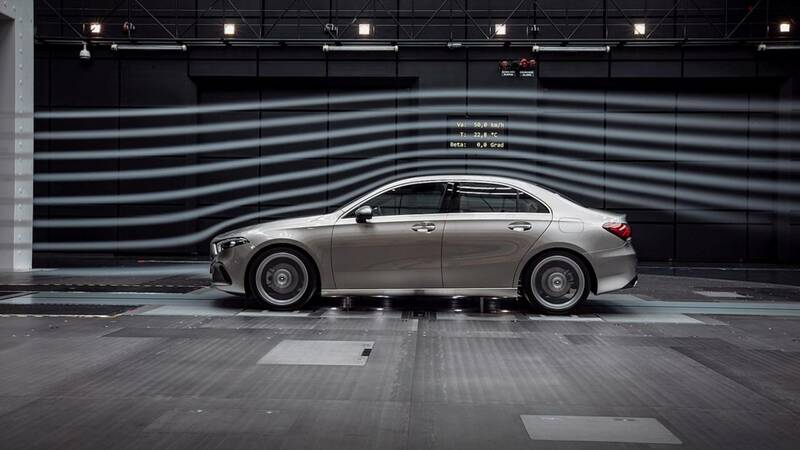 The most aerodynamic production car ever is coming to North America to slot underneath the CLA. 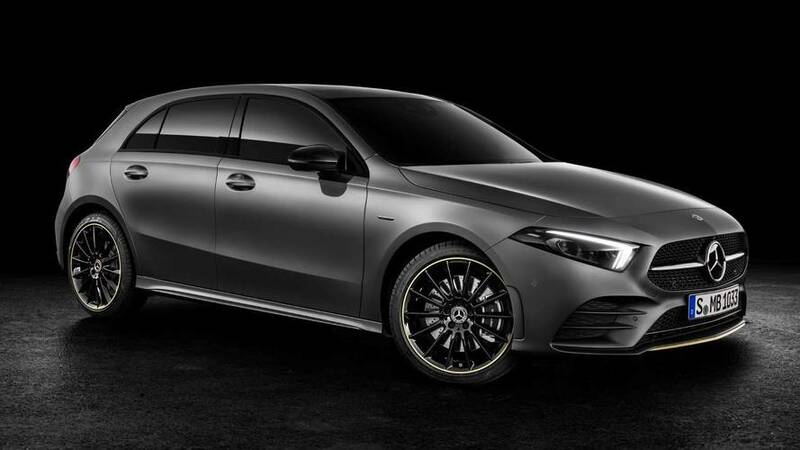 Unveiled about a week ago, the first A-Class Sedan belongs to Mercedes’ expanded compact car family and will fight the Audi A3 Sedan once it will go on sale towards the end of the year. Pricing details have not been disclosed, but you can rest assured it will be cheaper than the $33,100 CLA 250 Coupe. For reference, its archrival from Ingolstadt begins at $31,950. Upon launch, buyers will be stuck with the turbocharged 2.0-liter engine delivering 188 horsepower and 221 pound-feet (300 Newton-meters) of torque channeled to the front wheels or to an optional 4Matic through a standard seven-speed, dual-clutch automatic transmission. Interestingly, FWD models are going to boast a torsion-beam rear axle whereas the AWD-equipped cars will feature a more sophisticated multi-link arrangement. Hotter models will include an A35 with more than 300 hp and a range-topping A45 offering in excess of 400 hp. Much like the not-for-America A-Class hatchback, the sedan version comes with Mercedes’ new dual digital screen layout part of the MBUX infotainment system. The company says it has been developed from the ground up and can be complemented by an optional head-up display to lower distractions behind the wheel by keeping your eyes on the road at all times. Even though it’s the marque’s entry-level car, the A-Class Sedan doesn’t skimp on safety tech as it comes with a plethora of tech: active brake assist, active lane keeping assist, emergency stop assist, active lane change assist, and adaptive cruise control. Needless to say, many of these systems will cost you extra, but it’s a good thing Mercedes has decided to cram so much technology into its smallest car. Despite the fact it’s shorter than the CLA, the new sedan is actually more spacious thanks to a longer wheelbase possible by making the front and rear overhangs shorter. The car’s shape might not be on a par with the CLA’s swoopy silhouette, but we’d argue it’s still a good-looking car and easier to live with thanks to more headroom. The A-Class Sedan is not the only new Mercedes compact model en route to the United States as the GLB boxy crossover is expected to join the company’s U.S. lineup. It has already been shown to dealers and will apparently go on sale stateside in the fourth quarter of next year. As it will be the case with the sedan seen here, the GLB will be assembled for the U.S. market at the factory in Aguascalientes, Mexico.